Love this time of year – deliveries are coming in literally every day transforming the store for the holiday season. 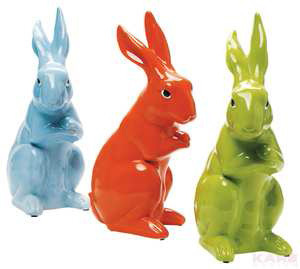 One of the biggest surprises for my sister and I were the success of our rabbit money boxes – we played it safe and ordered merely a hundred of them first time round and within a few weeks they completely sold out. More are being delivered as we speak but have just found out from the supplier that they are not making them anymore so we have the last 68 left in the world and 20 people are already on the waiting list – which means I only get to have 20 or so in our store and 20 in our concession at Bluebird yikes! Here they are cool hey!